Site has quite a few other amazingly constructed animal designs. But I wanted to stick to a T. See what I did there? Those are all awesome and it's interesting to see quite different buildingg techniques used here. Tapir is really curious . The University of Minnesota Landscape Arboretum has an exhibit of 13 sculptures made of Legos. 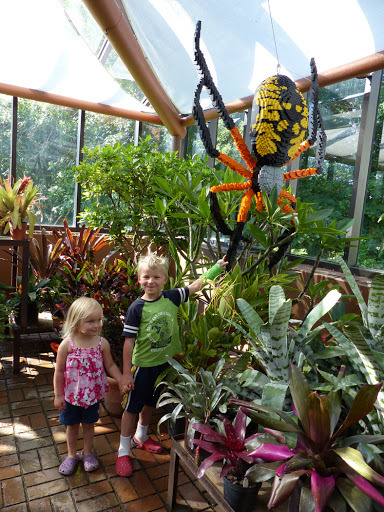 The spider required over 16,000 bricks. My grandchildren provide scale.